If your ultimate goal is to wield a razor sharp sword safely and effectively, you need to train with a sword that approximates the size, feel and heft of a live blade, yet minimizes the possibility of causing grievous, permanent, or life-threatening injury to yourself or your training partner. This concept was implemented by the ancient Romans, who used dull wooden swords to train their Gladiators and soldiers. The only problem is that a wooden sword can rot, crack, chip or splinter and eventually become useless. Made of the heaviest grade polypropylene available and to closely duplicate a real hatchet in length, size, weight and feel. While they are not quite as rigid as wood, they have the winning advantages of being virtually unbreakable, remarkably stiff and cut resistant. 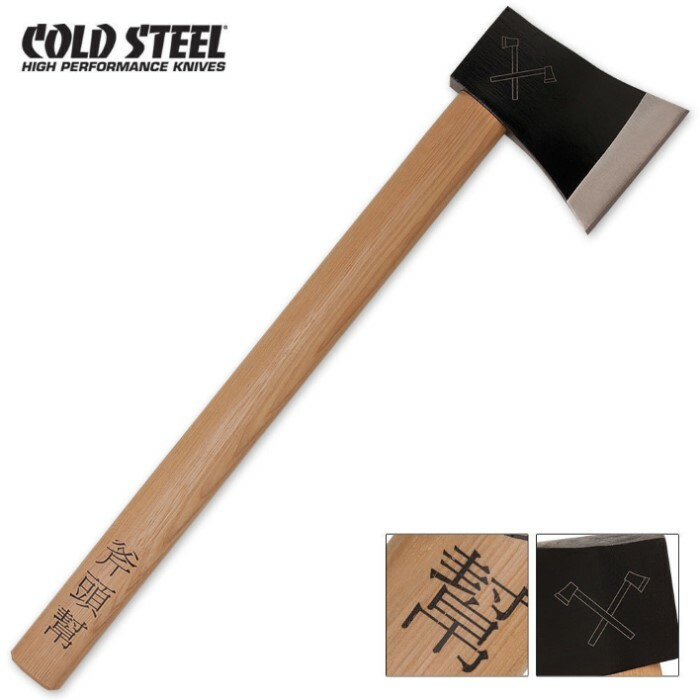 Please note that this realistic looking training axe is not designed for cutting or chopping use, the synthetic "blade" is unsharpened.